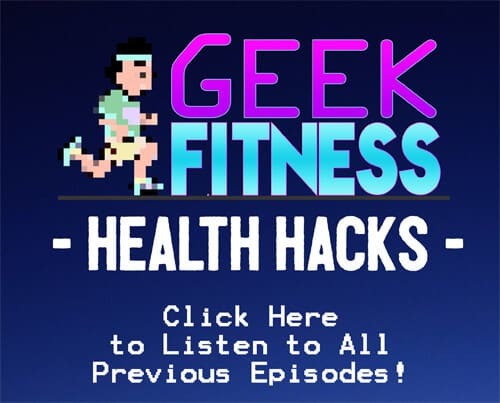 Press play to listen to this post’s companion podcast! When I first started trying to lose weight, a great deal of my diet consisted of bread and potatoes. Since I followed the low-glycemic diet to lose weight, that meant that carbs (especially simple ones) were a very limited part of my diet. To make things easier, I read that you could substitute sweet potatoes for white ones. The only problem was that I really didn’t like sweet potatoes. They were too ooey and gooey and sickly sweet. I hated brown sugar and cinnamon on them. And marshmallows? I was trying to lose weight here! What the heck? So my father-in-law had my wife over for dinner one day, and he made a twice-baked sweet potato with cheddar cheese, jalapeños, and sour cream that was so good, my wife and I still eat them 3-4 times a week to this very day. I promise you, if you want to like sweet potatoes but just can’t make yourself, try making this dish a few times. This is just how my wife and I get some quick, cheap meals in. First, wash a large sweet potato and poke holes across its entire surface with a fork (to vent steam). Then microwave it for 7-10 minutes (until soft all the way through). Mix the potato flesh with a sprinkle of cheese, crispy bacon (or bits), a splash of milk, pressed garlic (or garlic powder), and sliced/diced jalapeno peppers. Smash it all together and place back inside the potato skin. Add cheese on top and microwave it again until warm all the way through and cheese is melted (1-2 minutes, depending on the size of the potato). Remove from the microwave and top with whatever you want. Our staples are avocado, sour cream, and black beans. We have also used chili and barbecued chicken. 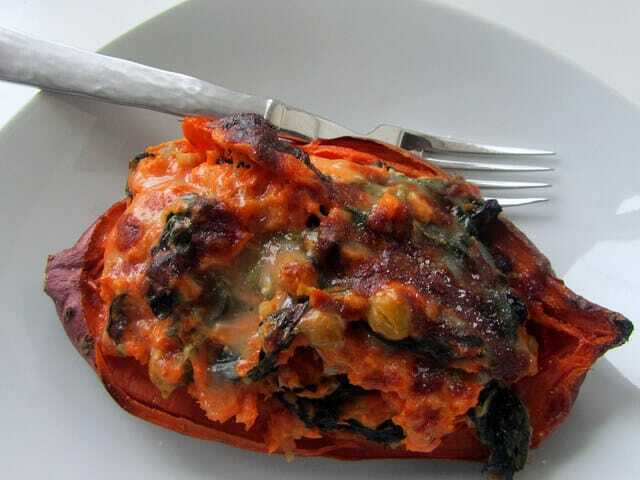 Lots of times, we end up foregoing the milk and most of the cheese, too, and just smash up some sweet potatoes, add some peppers and spices and throw whatever leftovers we have into the mix as a topping. It’s really versatile, and when people try it, they’re amazed you can do stuff with sweet potatoes to make them savory instead of overly sweet. Have you tried savory sweet potatoes? What are your favorite recipes for them? I’m not a huge fan of sweet potatoes but I may give this a try. In fact the only time I eat any is at Thanksgiving when I make a Sweet Potato Crunch casserole. I’ll let you know if we give this a whirl and how it goes! That’s true. But when it’s 10 minutes or 2 hours, most of the time, I take the 10 minutes. But there is nothing that beats a truly good twice-actually-baked one. Dat skin. Zomg. My favorite topping for a sweet potato is chili. I’ve never tried to make them into twice baked potatoes but I’ll have to try it…it sounds wonderful! Chili is by far the best thing I’ve added to it. When we did chili AND avocado, I thought I might die right there. I love sweet potatoes… plain. My wife, not so much though… I will give this a shot and see if she finds them acceptable. I hated sweet potatoes when I started eating these, and it made me a convert. It’s worth the shot. Microwave makes it so much faster, but like Mike said, there’s a small sacrifice. We love sweet potatoes. Thanks for sharing this — love new sweet potato ideas! Love savory sweet potatoes, and sweet potatoes are one of my favorites! We like Chili “Cheese” Sweet Potato Fries, Sweet Potato Nachos, Sweet Potato Pad Thai, the list goes on…. just can’t get enough of them!